Upslope chasing at its finest. On 05/18/14, Colt and Lauren Forney captured the incredible evolution of a supercell thunderstorm near Wright and Newcastle Wyoming on a GoPro Hero 4. This video ended up going viral, and Colt won the 2015 Fine Art America Photo TV and Pixels. com contest for his Nikon D700 image of this incredible storm ‘Wyoming Beauty’. Although this storm didn’t produce a tornado, as low level moisture was lacking, it did produce softball sized hail before evaporating completely as it moved east and encountered a stronger CAP. On 5/18/13, the Storm Prediction issued a Moderate Risk for tornadoes in Central Kansas. After a long week of chasing (the day before we were in South Dakota!) we intercepted 2 tornadoes from close range including one large cone that caused significant damage to a farmstead (thankfully they were ok!). Side note: this tornado, rated EF 4 by CSWR DOW mobile RADAR observations, had a very warm, dry RDF (rear- flank- downdraft) and also had one of the longest tornado rope-outs that we have ever encountered. On the fateful day of 5/22/11 we documented the formation of the devastating and deadly Joplin, MO EF5 tornado from very close range. Upon approaching the storm, which initially looked undercut, we didn’t realize how large and violent it would become, nor how quickly. Scott Peake filmed two violent, damaging tornadoes near Pilger, NE around 4:00pm CDT on 06/16/14. 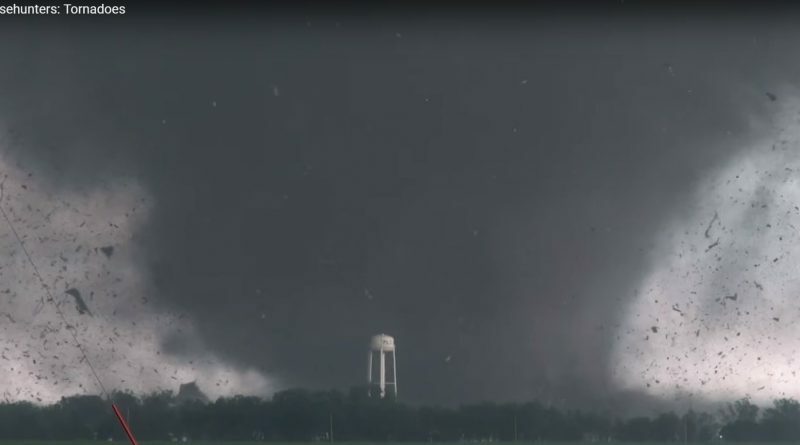 On 5/20/13 we unfortunately witnessed the violent EF5 Moore, OK tornado from our vantage at Southmoore High School as it tore through town and ravaged the community. After nearly being caught in a traffic jam, we leaned just how dangerous traffic and storm chasing can be. Here’s a link to the blog from that day.